Tri-State Crane & Rigging Service was founded in 2004 after acquiring Anderson Crane Services and changed their name to better serve their client base throughout Iowa, Illinois, Wisconsin, Nebraska, and Missouri. Tri-State Crane & Rigging Service has expanded our fleet of cranes from 8 to 31 in those 14 years and plans to expand much more in the next few years. We are currently serving all of Eastern Iowa, with the best crane service Cedar Rapids, Marion, Des Moines, Dubuque, Iowa City, The Quad Cities, and Waterloo have to offer. Tri-State Crane is a service oriented company specializing in crane rental services, heavy rigging, plant maintenance, hoisting, hauling machinery, moving, and specialty picks. Let our in-house equipment be your next choice from our hydraulic truck cranes to crawler cranes ranging from 18 to 400 Tons. We are your 24-hour crane connection. Our main purpose is to serve our customers with the utmost professionalism and attention that they deserve. 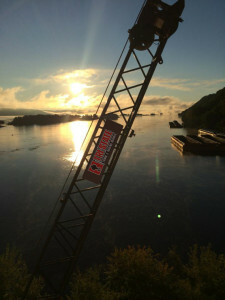 As the premier crane service company in Eastern Iowa we take pride in our work.